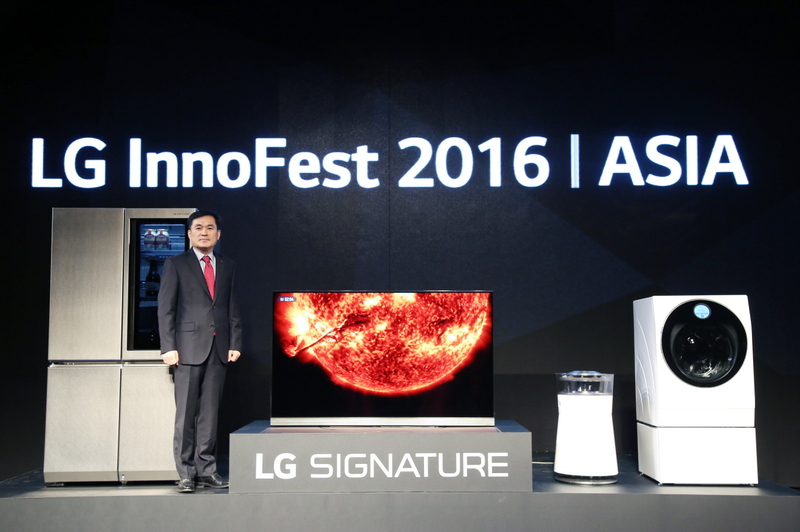 LG Electronics (LG) is set to shake up the Asian appliance market with the unveiling of its new ultra-premium brand LG SIGNATURE at InnoFest Asia held last February 16 to 18, 2016 in Seoul, Korea. LG InnoFest provided the company the opportunity to showcase its diverse range of products including consumer electronics and home appliances for the benefit of regional business partners, retailers and media. This year’s edition of LG InnoFest Asia gave approximately 300 dealers and journalists from 15 countries across the region the chance to gain hands-on experience with LG’s latest innovations. On the first day of the event, products from LG’s all-new premium LG SIGNATURE brand such as the OLED TV, Twin Wash washing machine, French Door Refrigerator and Air Purifier were showcased and demonstrated for all of the guests on-site. Executives including LG H&A Company President and CEO Jo Seong-Jin, LG’s Global Marketing Officer Brian Na and Asia Regional Head Chris Yi were also present in the event where they discussed LG’s premium products and technologies as well as the company’s plans for future partnerships. Since its founding, LG has been committed to making life better for consumers in Asia with air conditioners that repel mosquitoes, air purifiers that cleanse the air that family members breathe, audio systems developed with Asian ears in mind and gorgeous TVs that the entire family can enjoy together. This formula of discovering and delivering the needs of Asian customers is what made LG Electronics one of the top brands in the region. 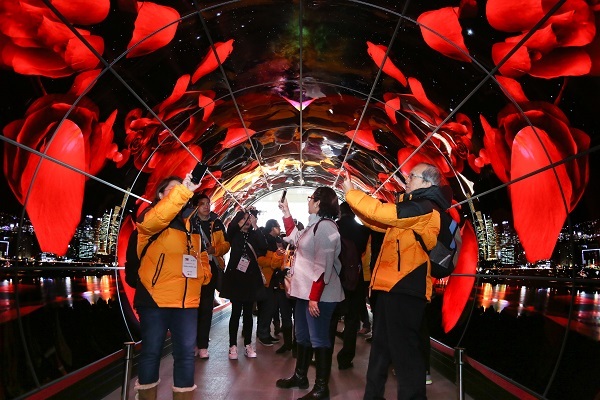 Participants in LG InnoFest were also given the opportunity to visit the world-famous Namsan Tower where a massive OLED display made up of 248 individual 55-inch LG OLED TVs allowed the guests to experience the amazing picture quality of LG’s OLED technology firsthand.